Look Chin Sri Yan has been in the business for more than 40 years. 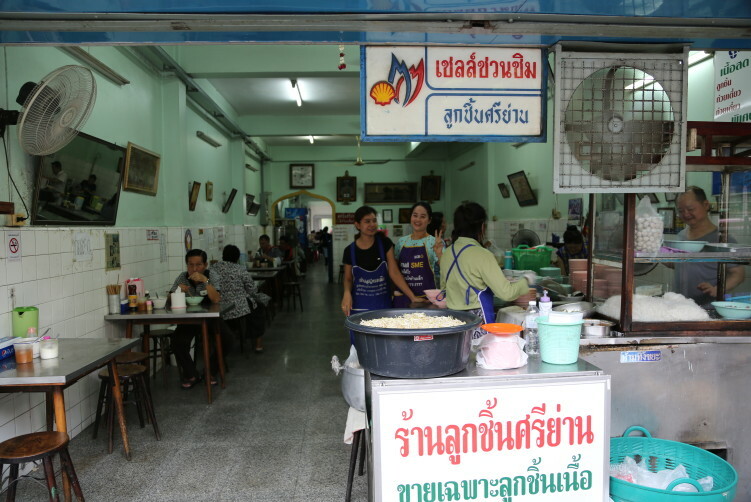 They also have the original Shell Shuan Shim sign which is the “Michelin guide” of Thailand. Meaning they’ve had the award for more than 30 years as Shell changed the logo 33 years ago. That really speaks for good food. And god food it is. I never back off from the possibility of another portion of beef noodles. 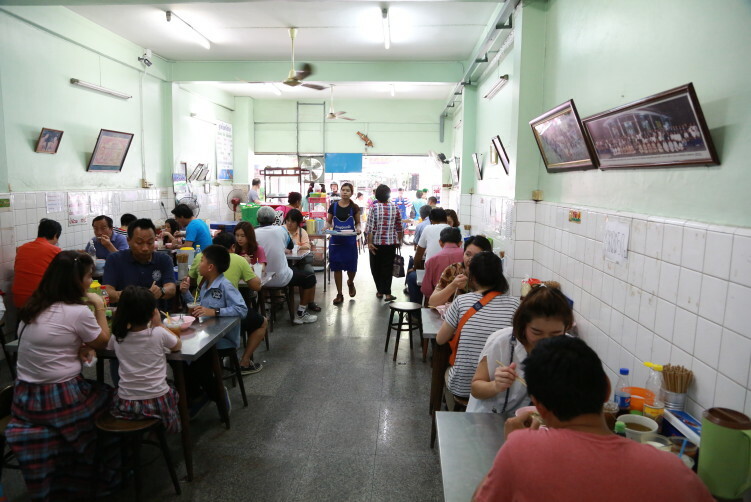 Look Chin Sri Yan is a popular place so it can be a bit of cuing if you get there prime time lunch, even if it has expanded their location to include another big room in the back of the front room you see when approaching it. 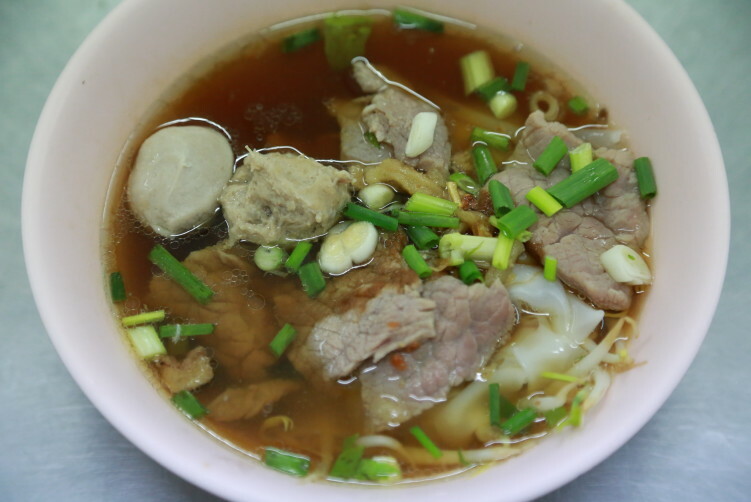 What’s a bit different from many other beef noodle stalls is the clear broth. You would expect it to be a bit darker when tasting it, rich and full of flavor as it is. The look chin, or meatballs, has a bouncy and rather meaty texture indicating that quite little flour goes into the mix. Many noodle store uses mass produced meatballs made mostly with the cost in mind, using a lot more flour to get the price down. Also the slices of meat are really tasteful and delicious at Look Chin Sri Yan. I ordered the broth on the side to make sure the noodles doesn’t get overcooked as the resto was packed with people. But I don’t think it would be necessary. I then poured the broth over the sen lek noodles, the meat, the been sprout and the spring onions, added some flakes of chile, a couple drops of fish sauce and vinegar. Then the chopsticks in my right hand and the spoon in the left, starting to dig in on this beautiful noodle soup. You find Look Chin Sri Yan more or less opposite the old Sri Yan market area, between Samsen Road and Nakhorn Ratchasima. The prices are not frightening at all, setting you back 42 Bath a bowl. If you don’t feel adventures to try one of the other very good eateries in the Sri Yan area, you’re allowed to order a second bowl. Nobody would lift an eyebrow to that. Be aware that if you come late, they might be sold out. If you get there to late you have one of Bangkok’s best Pad Thai places just meters away. Orawan is opening around 4 p.m. Another day time option (until 3 pm) is the pork knuckles at Mae Tuk 2 minutes down the road. How to get there: It’s Just opposite the Sri Yan market on the other side of the road. The number of the building is displayed. The easiest way to get here from down town is BTS to Victory Monument and a 80 Bath and 15 minutes taxi drive from there, or the water way (Chao Phraya river) that drops you off a short 5 minutes walk away. Jump of at Payap pier and just walk straight to Sri Yan market in Dusit district. You can’t go wrong. 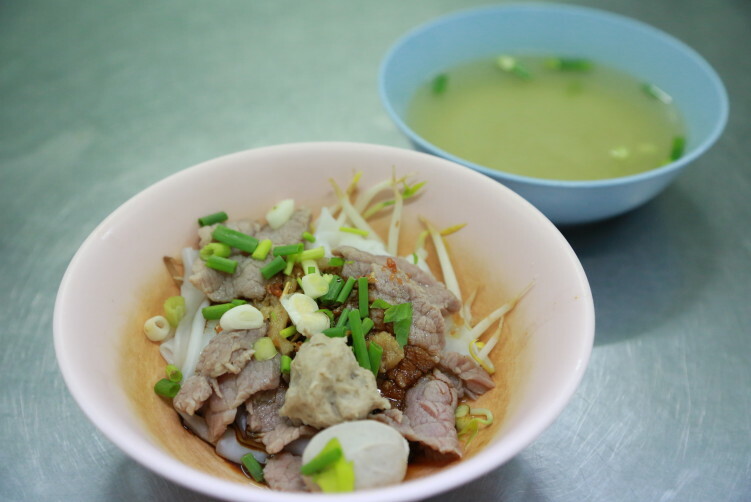 If in the Khao San Area, you can have a walk exchanging the 50-60 Bath taxi trip for another bowl of beef noodles. Look Chin Sri Yan has more than 40 years on their back. Great noodles with beef and meatballs. 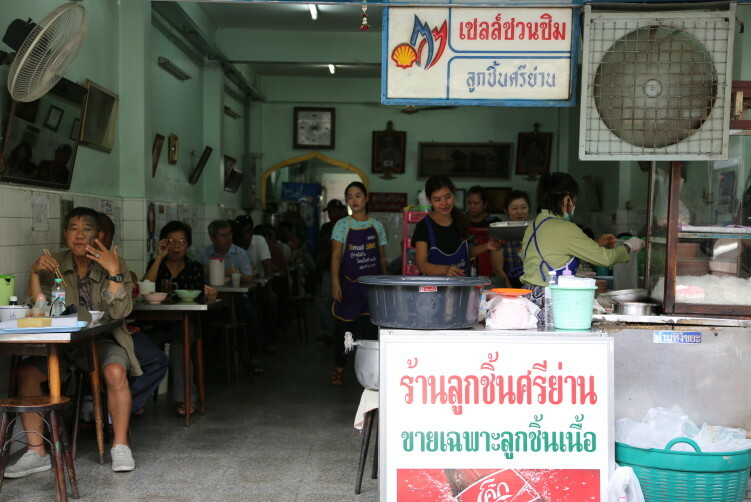 They have the original Shell Shuan Shim, Thailand's equivalent to the Michelin Star for street food. See all review at StreetsideBangkok.